Holiday decorations can bring a festive atmosphere to your home during the Christmas season. One of the most iconic holiday decorations is the Christmas tree. While some people prefer using a live tree in their home, the convenience of artificial trees lead many people to choose them instead. An artificial tree doesn’t need watering and they don’t shed needles around your home. Plus, you can pack them away for use next year. There are many different artificial Christmas trees available. They come in a wide range of colors, styles, and heights. Some are designed to be used on a tabletop while others sit in the floor. Some artificial Christmas trees are pre-lit which makes putting them up quick and easy. Others allow you to add your own lights which works well for those who like a lot of lights on their tree. The following is a list of the 10 best artificial Christmas trees based on reviews by consumer report. 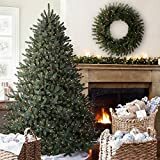 The Balsam Hill Classic Blue Spruce Artificial Christmas Tree has a beautiful full shape that makes it look like a live tree. 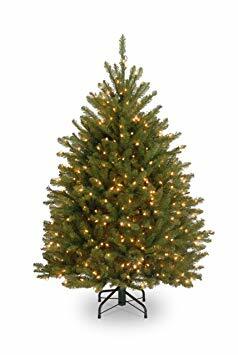 This artificial tree comes in several size options including: 4.5, 6, 6.5, 7, 7.5, and 9 feet. Each tree includes a stand for easy assembly. This tree from Balsam Hill is available with clear lights, LED lights, or unlit. It has many branches to give it a full and authentic look. The tree comes with everything you need to set up your tree including cotton gloves for fluffing the branches without scratching your hands. This artificial Christmas tree from Balsam Hill is designed to look just like a live tree. It has many branches for fullness and to provide you plenty of space for hanging ornaments. The tree comes with gloves for fluffing the branches and also has a storage bag and stand. The National Tree 2 Foot Red Tinsel Tree comes with a plastic stand for assembly. 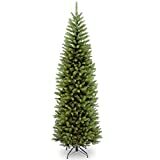 This small tree is ideal for use on a tabletop or other space where you can put a full size tree. It has a vibrant red color that looks great with clear lights and coordination ornaments. This compact tree is also available in a 3 foot or 6 foot option. It comes in many other color choices as well for those who are looking for unique Christmas decor. The tree is made of tinsel for a antique look and feel. It’s easy to assemble and can be put together and ready to use in minutes. 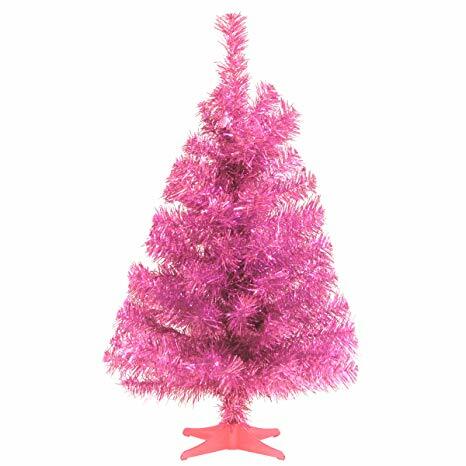 This artificial tree comes in several size options and many bright colors. It’s small size means that you can use it in areas where you can’t fit a traditional size tree. It’s easy to assemble and also includes a plastic stand in a matching color. The National Tree 6.5 Foor Dunhill Fir Tree has a 51″ diameter. This tree also comes in several other height options. It has a full look with lots of branch tips to give you plenty of space to hang your favorite ornaments. This tree comes packaged in a storage carton that you can reuse year after year. It has an all-metal hinged construction which means that it’s both durable and extremely easy to assemble. This tree has an authentic look and is designed to replicate a live fir tree. This artificial Dunhill fir tree from National tree is designed to simulate the look of a live tree. It comes in 2 pieces and is easy to assemble. The tree has many branches for a full look and to give you lots of space for decorating with your ornaments. 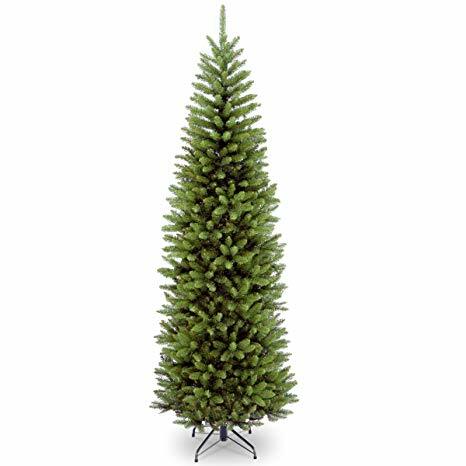 The National Tree 7.5 Foot Kingswood Fir Pencil Tree is perfect for those who prefer the look of a thinner tree. It’s also ideal for use in narrow spaces where a wide tree won’t fit. This tree has hinged branch construction for durability and easy assembly. This artificial Christmas tree has a small footprint so that you can easily fit it into tight corners or small rooms. It has lots of branches for hanging ornaments. The tree is easy to assemble and has hinged branches so you don’t have to manually add the branches yourself. The National Tree 7.5 Foot North Valley Spruce Tree is also available in a 9 foot size. 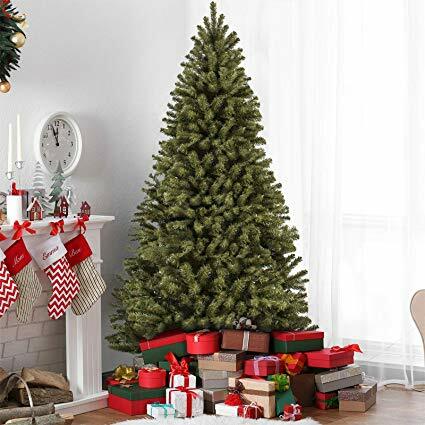 This artificial tree comes in 3 sections which makes assembly quick and easy. You can have the tree out of the box and assembled within minutes. This tree from National Tree has an authentic look with many branch tips for fullness. The hinged design means that you don’t have to install individual branches. The tree is made from materials that are non-allergenic and fire resistant. 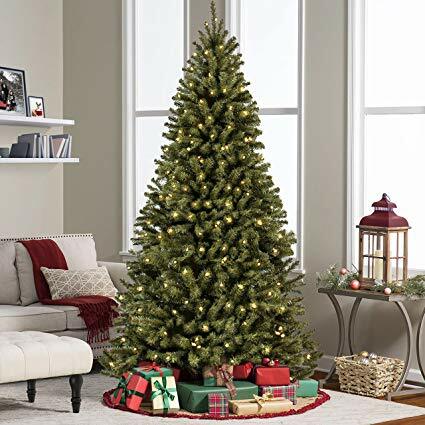 This 7.5 foot artificial tree has 1346 branch tips to give you plenty of space for hanging ornaments and stringing lights. The tree comes in 3 pieces which fit together easily for quick assembly. It has a hinged design for the branches so you don’t have to insert individual branches, saving time and effort. 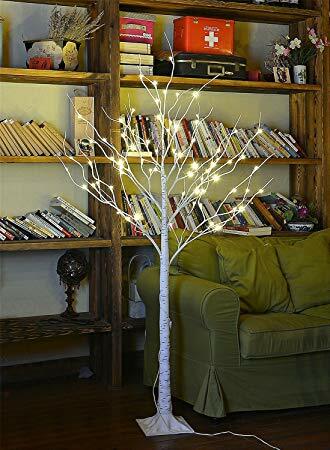 The Lightshare 4FT LED Birch Tree is perfect if you’re looking for a fun and festive artificial tree for your home. This tree doesn’t have the look of a traditional tree, but has a trunk designed to look like a birch tree with limbs that are already strung with lights. 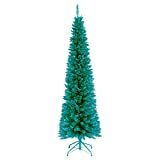 This tree is perfect for your holiday celebrations and can add a fun look to a party or other event. It could also act as your main tree if you want something different from the standard tree. It comes in several height options and is also available in brown. This artificial tree is designed to look like a birch tree. It comes in several height options and is available in white or brown. The tree comes with lights and is easy to assembly and use. It can be used indoors or outdoors. 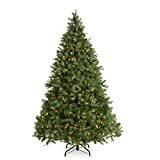 The Best Choice Products 6FT Pre-Lit Premium Spruce Hinged Artificial Christmas Tree is also available in 7.5 feet or 9 feet options. This tree is designed to look like a live spruce tree. It has a full shape and lots of branches for an authentic look. This artificial tree from Best Choice is a budget-friendly option that will look great in your home. 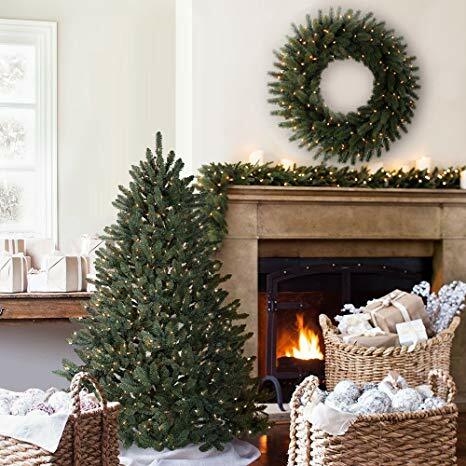 The spruce style branches give the tree a lush shape and offers plenty of space to hang your favorite ornaments. This tree is pre-lit for convenience. 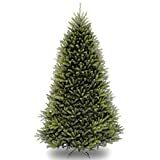 This artificial tree from Best Choice is affordable and easy to set up. The tree has a strong metal frame and plenty of branches for decorating. It comes with lights so you don’t have to spend time stringing lights after assembling the tree. The National Tree 4-1/2 Foot Dunhill Fir Tree has a beautiful full shape. This artificial tree is designed to look like a live fir tree. It comes pre-lit so you don’t have to waste time stringing lights and can begin decorating your tree immediately after assembly. 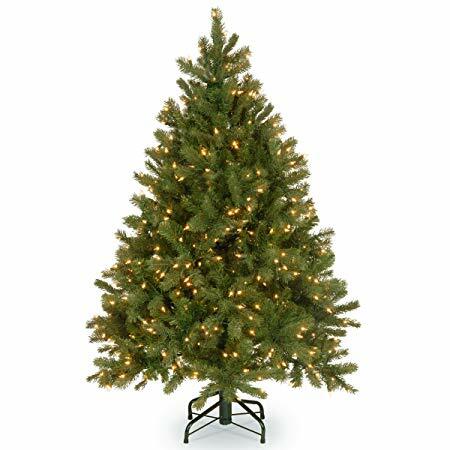 This tree from National Tree is compact and can be used on a tabletop or in an area where height is limited. The tree features technology that keeps the bulbs from falling out so you don’t have to replace them frequently. This artificial tree looks like a live tree and has lots of branch tips to hold your Christmas ornaments. This tree is 4.5 tall and can be used on a table or in an area where height is limited and you need a shorter tree. It includes extra bulbs, spare fuses, and a reusable carton for storing the tree when you’re not using it. 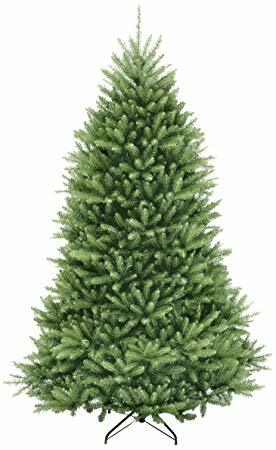 The National Tree 4.5 Foot “Feel-Real” Downswept Douglas Fir Tree is one of the most realistic looking artificial trees you can find. It has branches that are designed to replicate the look and feel of live Douglas fir trees. The tree even looks real up close. 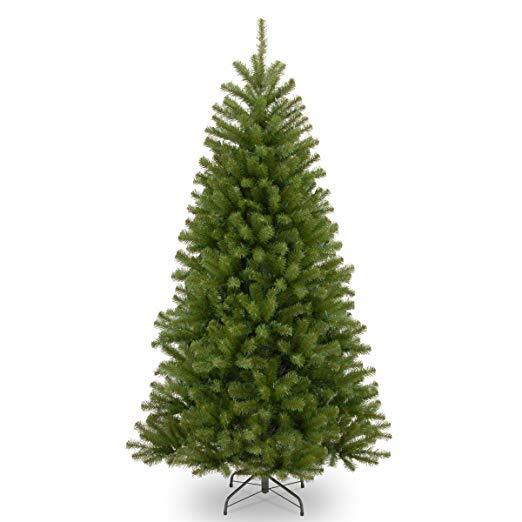 This artificial tree from National Tree also comes in several other size options. The 4.5 foot tree can work as a tabletop tree or in a room where you don’t have enough space for a full size tree. The hinged construction of the branches allow you to put the tree together quickly without installing individual branches. This beautiful artificial tree may fool everyone into thinking it’s a live Douglas fir. It has branches that are designed to look and feel real. The tree is 4.5 feet tall and it comes in 3 sections for quick assembly. It also includes clear lights so you don’t have to string them on yourself. 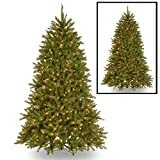 The Best Choice Products 7.5′ Premium Spruce Hinged Artificial Christmas Tree is a versatile and affordable option that will work well for many holiday decor needs. This tree is made of durable materials and has foldable base made of steel so you can use it for many years. This artificial tree is also available in a 9 foot option for those who have taller ceilings. It has 1346 tips to provide you with plenty of options when it comes to adding your favorite decorations. The branches are designed to look life-like and are easy to fluff for a fuller looking tree. This artificial Christmas tree is ideal if you’re looking for an authentic looking tree on a budget. The 7.5 foot height make it great for use in a living room, dining room, family room, or other space in your home. The tree is easy to assembly and can be folded up and stored during the rest of the year. An artificial Christmas tree can be the best choice for many people. These trees can be used year after year and most of the trees available are designed to look like live trees. Many come with lights already on them which helps save time and effort when you’re setting up your tree. Some have hinged branches which also adds to the ease of assembly. Most trees are relatively easy to take apart so you can fold them away and store them after Christmas. When choosing a tree you should be aware of the heights of the different options available. Be sure to choose a tree that will fit into your room with plenty of space on top to add your desired tree topper.